Andrew Johnson (1808-1875), the 17th U.S. president, assumed office after the assassination of Abraham Lincoln (1809-1865). Johnson, who served from 1865 to 1869, was the first American president to be impeached. A tailor before he entered politics, Johnson grew up poor and lacked a formal education. He served in the Tennessee legislature and U.S. Congress, and was governor of Tennessee. 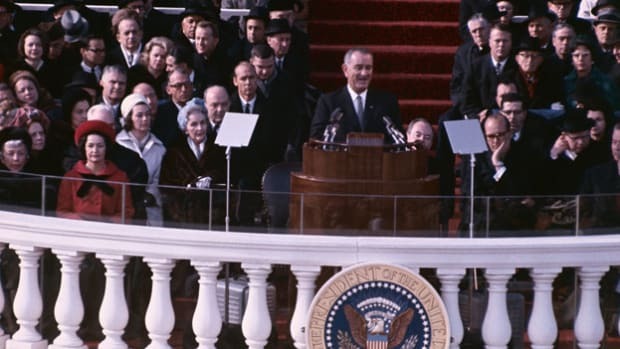 A Democrat, he championed populist measures and supported states’ rights. During the U.S. Civil War (1861-1865), Johnson was the only Southern senator to remain loyal to the Union. Six weeks after Johnson was inaugurated as U.S. vice president in 1865, Lincoln was murdered. 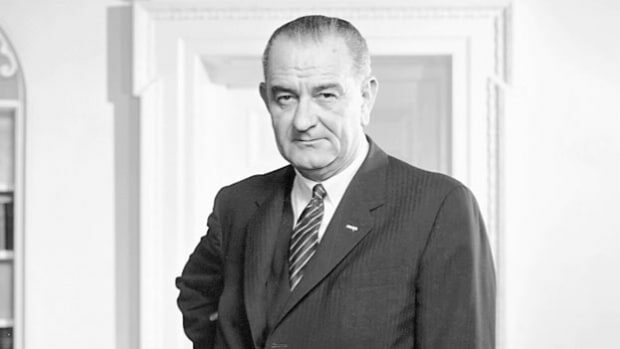 As president, Johnson took a moderate approach to restoring the South to the Union, and clashed with Radical Republicans. In 1868, he was impeached by Congress, but he was not removed from office. 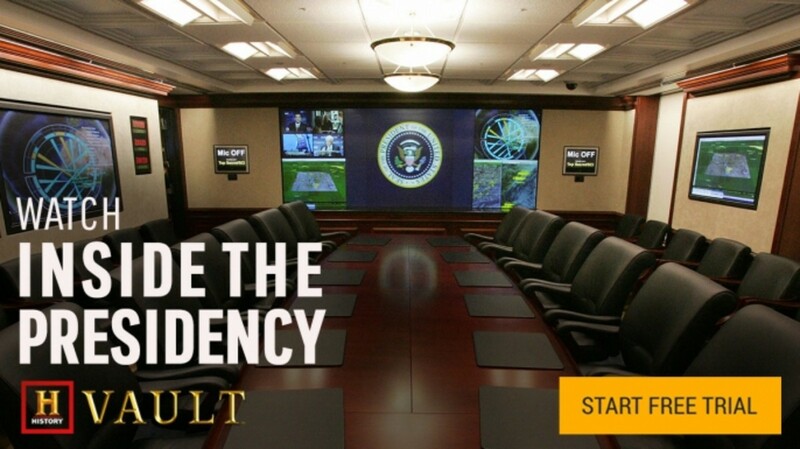 He did not run for a second presidential term. Andrew Johnson was born on December 29, 1808, in a log cabin in Raleigh, North Carolina. His father, Jacob Johnson (1778-1812), was a porter at an inn, among other jobs, and died when Andrew was 3, while his mother, Mary “Polly” McDonough Johnson (1783-1856), was a laundress and seamstress. Did you know? During Andrew Johnson’s presidency, his secretary of state, William Seward, negotiated the purchase of Alaska from Russia for $7.2 million. At the time of the 1867 deal, critics dubbed it “Seward’s Folly.” Alaska became the 49th U.S. state on January 3, 1959. Johnson, who grew up poor and never attended school, was apprenticed to a tailor by his early teens. In 1826, he moved to Greeneville, Tennessee, and established himself as a tailor. The following year, Johnson married Eliza McCardle (1810-1876), the daughter of a shoemaker. The couple had five children. 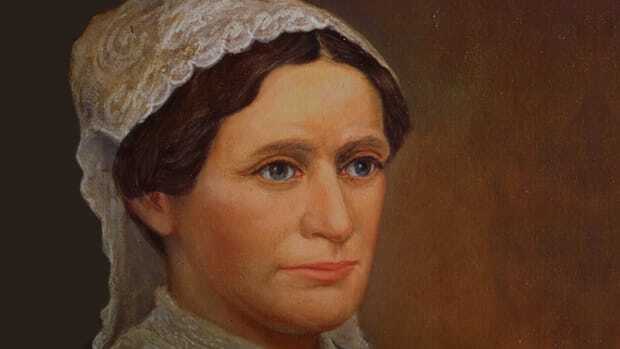 Eliza Johnson helped her husband improve his rudimentary reading and writing skills, and tutored him in math. Over time, Andrew Johnson became prosperous enough to buy property and acquire several African-American slaves, who worked in his home. Johnson’s political career began in 1829, when he was elected alderman in Greeneville. 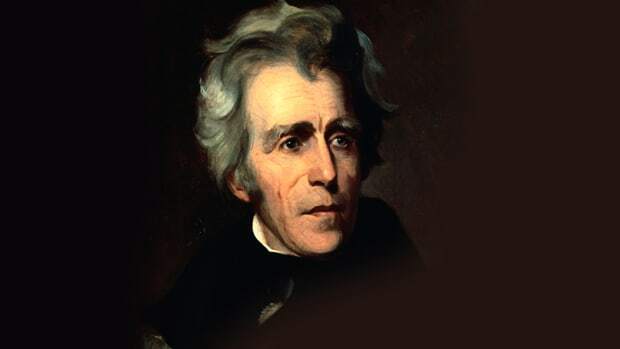 That same year, Andrew Jackson (1767-1845), a fellow Democrat and Tennessean, became the seventh U.S. president. Like Jackson, Johnson considered himself as a champion of the common man. 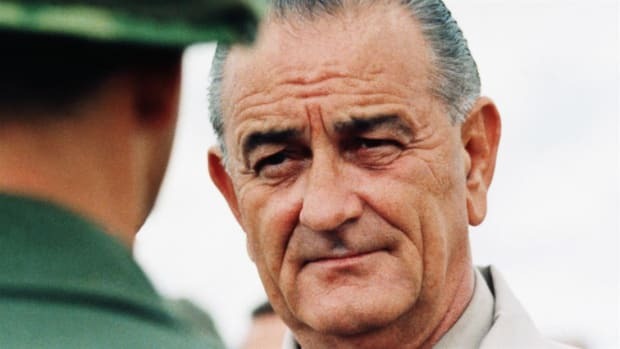 He was resentful of rich planters and favored states’ rights and populist policies. A skilled orator, Johnson became mayor of Greeneville in 1834, and was elected the following year to the Tennessee state legislature, where he spent much of the 1830s and early 1840s. In 1843, he was voted into the U.S. House of Representatives. While in Congress, Johnson introduced what would become the Homestead Act, which granted tracts of undeveloped public land to settlers (the act finally passed in 1862). Slavery became an increasingly important issue during Johnson’s time in Congress in the 1840s, and Americans were split over whether to extend the “peculiar institution” to the nation’s newly acquired western territories. Johnson, a strong supporter of the U.S. Constitution, believed it guaranteed individuals the right to own slaves. Johnson left Congress in 1853 to become governor of Tennessee. He vacated the governorship in 1857 to take a seat in the U.S. Senate. During the 1850s, as the struggle over states’ rights and slavery in the territories further intensified and divided the North and South, Johnson continued to believe in the right to slave ownership. However, as some Southern leaders began calling for secession, he advocated for the preservation of the Union. In November 1860, Abraham Lincoln, a former U.S. congressman from Illinois and member of the anti-slavery Republican Party, was elected America’s 16th president. On December 20 of that same year, slaveholding South Carolina seceded from the Union. Six more Southern states soon followed, and in February 1861, they formed the Confederate States of America (which would eventually include a total of 11 Southern states). Lincoln was inaugurated on March 4, 1861, and just over a month later, on April 12, the U.S. Civil War broke out when Confederate forces fired on Fort Sumter in Charleston Harbor, South Carolina. That June, Tennessee voters approved a referendum to secede from the Union and join the Confederacy. Johnson, who had traveled across Tennessee speaking out against secession, was the only senator from the South to remain loyal to the Union after his state seceded. He resigned from the Senate in 1862 when Lincoln appointed him as Tennessee’s military governor. In this role, Johnson tried, with mixed success, to re-establish federal authority in Tennessee. When Lincoln sought re-election in 1864, he chose Johnson as his running mate over Vice President Hannibal Hamlin (1809-91), a former U.S. senator from Maine. 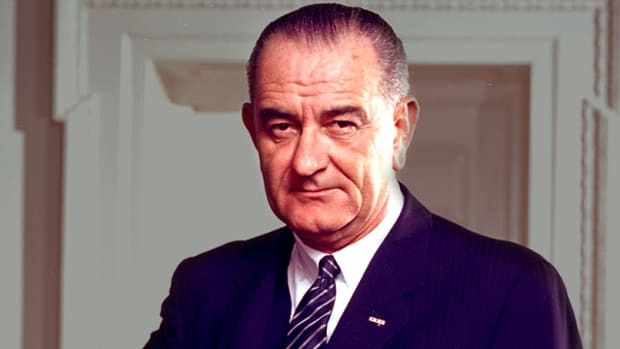 As a Southern Unionist and “War Democrat” (the name for those Democrats who stayed loyal to Lincoln), Johnson was deemed a good fit for the ticket. Lincoln defeated his opponent General George McClellan (1826-1885) by an electoral margin of 212-21, and garnered 55 percent of the popular vote. In 1866, Johnson vetoed the Freedmen’s Bureau bill and the Civil Rights bill, legislation aimed at protecting blacks. That same year, when Congress passed the 14th Amendment granting citizenship to blacks, the president urged Southern states not to ratify it (the amendment nevertheless was ratified in July 1868). During the 1866 congressional elections, Johnson launched a multiple-city speaking campaign, dubbed “a swing around the circle,” in which he attempted to win support for his Reconstruction policies. The tour proved to be a failure, and the Republicans won majorities in both houses of Congress and set about enacting their own Reconstruction measures. Johnson was buried in Greeneville with the American flag and a copy of the Constitution.